Small businesses shut down across the United States and beyond every single day. Sometimes they are merged, acquired, purchased, or things didn’t work out due to flooding, scams, politics or even local big box stores moving in. Whatever the reason, small business owners are often left over with office chairs, shelving and other miscellaneous things such as a website or domain name to sell off and make some extra money. I’ve been there many times myself, I’ve owned multiple brick and mortar locations and hundreds of websites over the years. Usually the domain name (URL) is what has the most value. It is rarely the website itself unless it is an e-commerce store, drop shipping business, AdSense, Amazon or other affiliate business. Websites can be rebuilt if and when needed by most Internet entrepreneurs in a few minutes. I have solutions for businesses with names in them in the event you do not want the URL reused. Sometimes real estate agents, plumbers, personal injury lawyers, medical professionals and other attorneys do not want their name reused and hang on to the domain as long as they can. Usually, they forget they own it or they pass away and the domain comes up for sale in an auction and is picked up for $3 – $8. In lots of these cases, nobody wants the domain to begin with. In other cases the URL is something more vague such as Dallas-Plumbing.com. These have value as they can be reused. In that case your best bet is to contact your competition and offer them the domain. If it outranks them you may even want to rent it to them to obtain some residual income. The vast majority of the time what people contact me with is a domain name or website called something like “Delta Electronics” or “Absolute Carpentry”, etc. These are the domains that are worth between $0 – $1,000 that everyone has a hard time selling. Your only hope of selling a $0 – $1,000 website is by finding someone like myself who works online, selling it to a competitor, GoDaddy auctions, or Flippa. What will we do with it? Who knows. I have over 100 websites and am in communication with small business owners everywhere. Chances are I will turn it into a blog which generates $10/mo. Every site is unique. If you have a specific desire for the future of your website I may be able to honor it so feel free to ask. I can provide relevant references when necessary as I have had well over 30,000 successful transactions. If you have a site in this price range please feel free to contact me as well. If you expect to get over $10,000 for your site you must have proof that it is in good standing and currently generating over a thousand dollars each month on auto-pilot. Once you get into the $100k range things change a little and you are probably selling a business, not a website, and you will be better served by a business broker (they aren’t so bad, I have used one). Sites like this can also be sold on the marketplaces which are basically Empire Flippers and Flippa. Beware that listings on some of these marketplace style websites is like going down a dark alley to conduct business though. Assuming you are not having a pipe dream and your website is worth over $150k then you start to get into an area where you can use a broker. Websites to sell sites worth that include Flippa, Digital Exits, Digital Point, FE International, Quiet Light, etc. Everyone values websites differently. 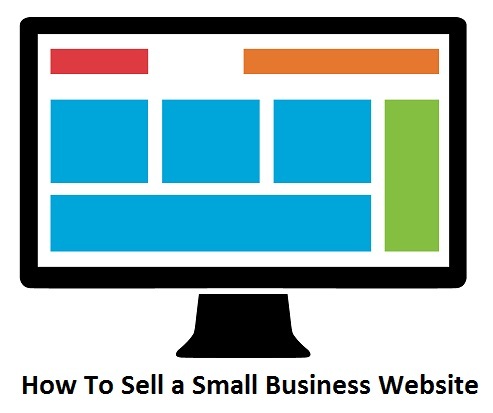 Most small business websites have never been monetized and existed solely for the purpose of promoting whichever product or service the small business offered. This is the problem that small business owners run in to as most people who buy websites want monetized websites which are generating income every month. Most website buyers are going to take into consideration organic search traffic, the number of backlinks, ad clicks, niche, number of email readers, etc. Small business owners tend to have none of these things. Once your website is sold, transferring it to a new registrar is relatively easy. You will need complete access to the domain, the login information to manage it, and access to the domain admin email. If you aren’t sure who the domain admin is, you can use whois.com to find out. I have a website/virtual asset that I am wanting to sell for a minimum of $1,000. The site is neworleansdamagerestoration.com. It’s currently ranked on page 5 in google organic search, ranked number 5-6 in google maps and number 2 in bing places and has over 52 citations. What are your thoughts on this? I would make it rank better then approach someone in the business to see if they want to rent or buy the domain.